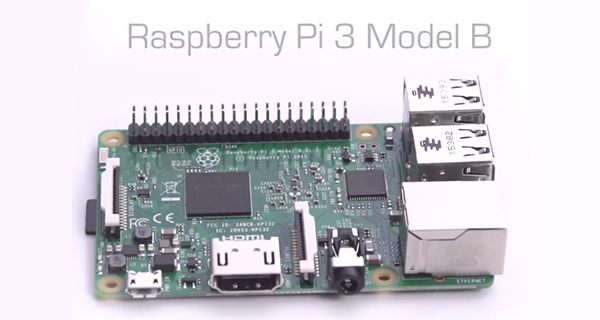 The original Raspberry Pi Model B was released exactly four years ago during the last leap year, on February 29th, 2012. In the time that’s followed, the Raspberry Pi Foundation has managed to ship more than eight million units worldwide, three million of which have been Raspberry Pi 2 second-generation offerings. In romantic fashion, the makers behind the tiny little computer have acted on the fact that we have another leap year, by releasing the new Raspberry Pi 3 today, complete with some notable and sought after additions. To celebrate the company’s fourth birthday, the Raspberry Pi 3 has been made available immediately. The world’s best-selling personal computer now comes complete with a 1.2GHz 64-bit quad-core ARM Cortex-A53 CPU. The Foundation is stipulating that this should be enough to provide owners with approximately 10-times the performance of the original Raspberry Pi released this time four years ago. More importantly, there’s also now an integrated 802.11n Wi-Fi, along with built-in Bluetooth 4.1 for connection to third-party Bluetooth peripherals. Anyone who owns a previous-generation Raspberry Pi will understand the pain that came attached with having to purchase a separate dongle for any type of wireless connectivity. This latest announcement uses built-in Wi-Fi and Bluetooth to negate that pain point. Power is still capable of being provided by an integrated 5V micro-USB source, and there’s still the recommendation of using a 2.5A adapter where possible if you have some power hungry devices connected to the contraption. 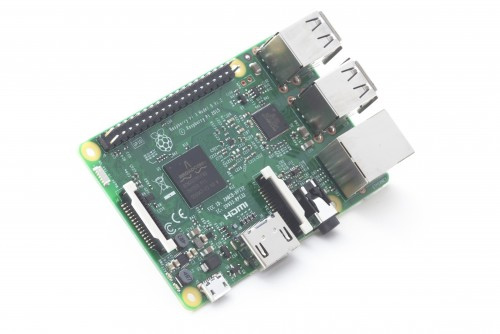 The new integrations and features are also as important as the fact that the Raspberry Pi 3 is fully-compatible with the previous generation Raspberry Pi models. The release of the third-generation Raspberry Pi signifies just how far the Raspberry Pi Foundation has progressed over the last four years. After initially starting out with just a small handful of part-time volunteers, it now employs more than sixty full-time staff members working towards improving the overall Raspberry Pi experience. The progression of the business has also seen a Raspberry Pi unit distributed to the International Space Station (ISS), as well as being used to provide training to teachers around the world via the unique Picademy program and trying to change the world one little Pi unit at a time. Those interested in purchasing the Raspberry Pi 3 can do so now from either the foundation’s partners, or from Amazon. It costs just $35, the same price as previous-gen models. Consider Android TV Box M8S or M8S+? Amazon Fire stick is nice (Allows Developer Mode) but has restricted hardware. Unless you are a Amazon Prime member , you will not be able to take advantage of the Fire stick completely. The reason I’m considering Fire TV stick over chromecast is for the price $39 and it’s more capable in playing XMBC and plex. And with the same price I can still get RP3 which I think will be more capable that Fire Stick for playing media. If I were to get TV Box, Apple TV will be on the top list followed by Roku and I don’t even think Android TV will have place on my Top 5 list.